June | 2012 | I Haven't Had My Coffee Yet -- Don't Make Me Kill You! Since 1996, Jennifer Tefft has worked as a talent buyer and promoter for Los Angeles clubs such as Bootleg Theater, Martini Lounge, Small’s K.O., and Club Spaceland (renamed The Satellite in 2010), as well as for L.A. festivals Poptopia and Sunset Junction. Tefft started putting on shows during her college days at Taylor University in Upland, IN, then moved to L.A. and eventually worked the door for Spaceland in 1999. As the club’s booker from 2000 onward, she brought in bands that lived up to the excitement of Spaceland’s very first bill in 1995 (Foo Fighters and Beck), including Arcade Fire, Weezer, the White Stripes, the Shins, Spoon, the Black Keys, Keane, and thousands of other bands. She also helped break Silversun Pickups, Rilo Kiley, and Cold War Kids. And in her current role as talent buyer for The Satellite, she’s booked Gotye, Minus the Bear, Jackson Browne, Daniel Lanois, and many more. For bands and managers looking to book a show at an established club such as The Satellite, there are a few things to keep in mind when lining up an event, promoting it, and playing it—particularly if you want to be invited back. Here are a few tips from Tefft on how to get a good conversation going with a sometimes-elusive (read: busy) booker. Career – Approaching Club Bookers. One of the best ways to grow your fan base online (and offline) is by growing your email list. But it’s also easy to forget and neglect how important this is. Here are 10 easy ways to grow your list. Simple idea right? Give something – get something. Musicians have had great success building their email lists by giving away a free MP3. You could also give away a free PDF, eBook, or other form of digital content. Most email marketing programs, including ListBaby, will allow you to offer your fans a free download after they sign up to your list. Make sure you take advantage. via 10 Ways to Grow Your Email List | Email Marketing | The HostBaby Blog. Do Your Fans Really Pay for Your Music? Illegal Downloading. Free Music. File Sharing. Whatever you call it– the debate rages. I’m sorry, but what is inconvenient about iTunes and, say, iTunes match (that let’s you stream all your music to all your devices) aside from having to pay? Same with Pandora premium, MOG and a host of other legitimate services. I can’t imagine any other legal music service that is gonna be simpler than these to use. Isn’t convenience already here!? Emily’s piece offers a glimpse into the mindset of a younger music fan who is wrestling with the implications of the free-music trend. David’s response is thorough and passionate. via Do Your Fans Really Pay for Your Music? | DIY Musician. When we bought our fabulous Quested H208 monitors they came with a Quested AP700 power amp (which is a MC2 rebadge). It was supposed to be an amazing amp, but it had some problems. It was old and the fans (why are there fans in professional audio gear?!) were noisy. In fact, the amp was so noisy that it couldn’t be used in the control room unless you opened the top. Eventually, the amp died and I bought a Bryston 4B NRB as a temporary fix. The Bryston sounded so good that while the Quested was out being fixed, I wondered whether the Bryston shouldn’t be the main amp and the Quested retired to back up. Finally I had both amps back from service yesterday and was able to compare them. While we couldn’t switch seamlessly between them, and levels were only matched by ear, the difference was startling. 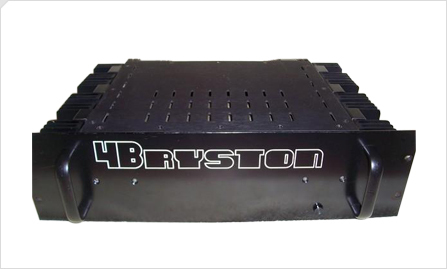 The Bryston sounded punchy and exciting and fun; on consideration it was very mid-forward. 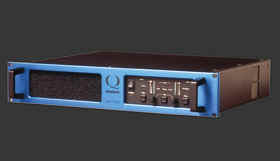 The Quested, on the other hand, was sweeter, more balanced across the frequency spectrum, and had greater stereo width. We were stunned at such a noticeable difference between these two top-notch amps. In the end, we decided that though the Bryston was first pick on first blush, the Quested was a better choice for a studio monitoring system. After all, studio monitors are supposed to approximate “The Truth” without flattering the audio. The Bryston was just too much “fun”. It was nice to have the chance to compare such great choices. It’s still hard to believe there was that much difference. The SSL (Solid State Logic) consoles became legendary for many reasons, among them the stereo buss compressor that lived in the heart of the center section. This compressor is renowned for gluing a mix together in a way unlike any other bus compressor, sounding larger than life and delivering the distinctive and highly sought after SSL sound the world has come to love. In the early 1990s, when SSL retired the venerable 4000 series, and introduced the more modern 9000 series, they reinvented their electronic pathways for a more pristine sound they dubbed SuperAnalogue ™. Then in the late 90s, SSL brought forth the XLogic series of 19” rack processor and adapted the SA compressor to a rack unit. Their first entry was a 5.1 surround unit that could be split into dual stereo processors. 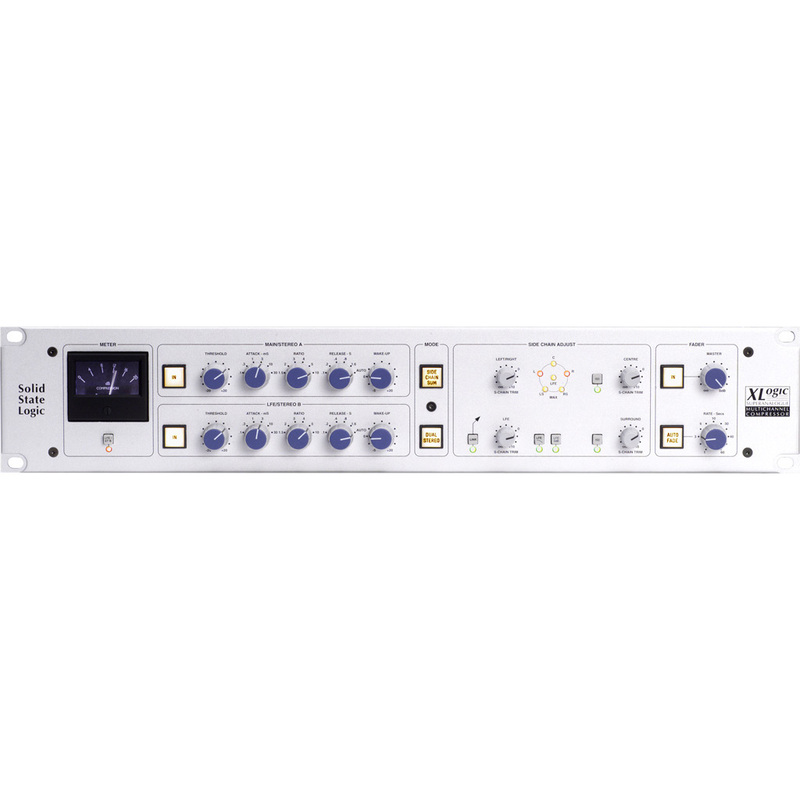 This product is now discontinued, but a stereo unit is sold presently, making legendary SSL console compression available to studios without an SSL console. At Digital Bear Entertainment, we’re lucky enough to have one of the vintage 5.1 SA compressors! It lives in a 2U housing (the stereo only version is 1U) with a black-on-silver color scheme with backlit buttons on the bypass, stereo split, and auto-fade buttons. But does it do more than look pretty? Sonically, this compressor just sounds right. It’s clean and transparent, yet when pushed hard, the compressor behaves somewhere between forgiving and powerful; retaining clarity while gripping the audio harder. An interesting and unique feature of the buss compressor is the auto-fade feature. You set the fade time with a rotary knob from one to sixty seconds. Then, when you hit the fade button, it fades the audio, in or out, over that length of time. The internal fade circuit is built like a console fader, losing voltage and amplitude nonlinearly to synthesize a classic analog feel. Sonically, the VCA design retains all of your tone all the way down to silence. It’s hard to go wrong with something that’s been part of hundreds of your favorite songs, and has been going strong for decades. I think every serious studio needs one of these in its arsenal. SSL really did it right, as they have always seemed to do, once again.